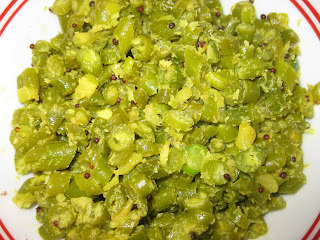 This is a simple & tasty side dish for lunch.I used here only a few ingredients. =► Cut beans into very small pieces. add curry leaves, beans, salt and green chillies. =► Cover the pan with a lid and allow it to cook for 10min in sim flame. =► Add sliced garlic into it and allow it cook for another 5 min in sim flame. 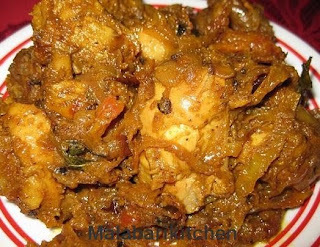 =► Add grated coconut into cooked beans and stir well and off the flame.